The Hope of Azure Springs by Rachel Fordham - and Book Giveaway! The people of Azure Springs, Iowa find a young lady dying from a gunshot wound, and they save her life. Sheriff Caleb Reynolds tries to get to the bottom of Em’s story, but she knows little and she’s reluctant to share what she does know. Seven years before, Em and had come to Iowa on an orphan train and been taken in by a recluse who neglected her, and she’s desperate to find the little sister who was adopted in another town. At first, Caleb doesn’t think much of Em, who is thin and plain and odd. But as they work together to find the men who shot her and killed the recluse – and are committing other crimes – a friendship develops that surprises them both. The Hope of Azure Springs is a delightful debut novel. Rachel Fordham draws a sympathetic character in Em, who grows – and also causes growth in those who come to know her. Caleb is a wonderful hero, strong but flawed, and the romance between Caleb and Em is unique and intriguing. What sets this novel apart is the refreshing message – what is true beauty and how do we perceive it? I highly recommend this novel and look forward to more from this author! Rachel Fordham has graciously offered to give away a copy of The Hope of Azure Springs! To enter the drawing, please leave a comment below. US mailing addresses only, please. Giveaway ends Thursday, August 23, 2018 at 11 pm Pacific Time. I’ll post the winner here on this blog on Friday, August 24, 2018 and will email the winner. I love reading stories where the heroine is not strikingly beautiful because the hero has to really get to know his heroine’s heart for love to blossom. The extra attention to character development in order to create an attraction which must be built on more than appearances that will ultimately evolve into a relationship is my favorite type of read. I enjoyed writing Em and showcasing her. The message of true beauty meant a lot to me. This book sounds amazing!! Thank you for sharing about it and thank you for the opportunity to win it!!! This sounds like a story I’d really enjoy, thank you for the chance to win a copy of the book. I don’t think I’ve read any of Rachel’s books so I’m looking forward to reading a new author as well. This is my first book! I have others scheduled with Revell that I’m equally excited for. I have been hearing so much about your book! Congratulations, first book and more to come, how exciting!! Being a debut novelist is a scary thing. I’m thankful for the warm reception. a pretty cover. this sounds like a great book. i really do love to read stories where the heroine is plain and soft and comes to life and becomes beautiful in her own right because of learning to become wholly who she is. Looks like a really good book and Sara’s recommendation will sell many copies. I own all of Sara’s books and have enjoyed each one. The write up for this debut novel sounds right up my alley! I love all of Sarah’s books, anything she recommends is on the top of my reading list. Sarah’s books are fantastic! That prologue in her latest…Amazing!!! I love historical fiction! This sounds like a beautiful story. Thank you both for hosting this giveaway! Historical fiction is my favorite too! So happy to be able to! Historical fiction is the best! I thing like exploring another time and place. This book sounds very interesting! The cover is gorgeous and draws you into the story! Thank you for the opportunity to read this exciting debut novel by Rachel Fordham! I think the cover represents the books so well! Revell did a fantastic job. I love the cover, and the story line is intriguing! Thanks for an opportunity to win! This sounds like an interesting story. The history of the orphan trains is compelling. I agree! I’m always drawn to foster or adoption stories. I am very interested in this book. I love reading and would like to read this story. Sounds like fun and adventure. My oldest said he was surprised there was so much adventure in it! Would love to win this book so much! Thank you for this chance to win! Sounds interesting! I would love to read it. I hope you get a chance!!! Sounds like such a charming and intriguing story! This sounds like a wonderful read!!! If there is a little sister, does that mean this is book one of a series? I hope so! Thanx for the giveaway!!! Technically my summer 2019 release is stand alone but the characters from This book are very much a part of it!!! What a captivating plot! I’m adding to my TBR list, and thank you for hosting this giveaway. Congrats to Rachel on her debut novel! Thank you. i appreciate your kind words! I’m so glad that good things are being said! Been looking and wishing for this book! A win would be fabulous! I hope you can get your hands on it! I would love to win a copy! I hated to return my copy to the library. It was such a great book! Returning a book I enjoyed is the worst! It’s like parting with a good friend! This really sounds like my kind of book! I simply love the cover! Congratulations on your debute novel Rachel! I have a feeling that this is just the first of many. Thanks for sharing with us. I’ve heard so many good things about this book! I can’t wait to read it! Historical fiction is my favorite! Thank you for the giveaway! 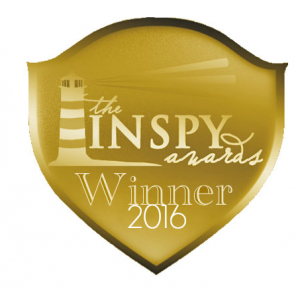 Honored to be on your list! The cover is very pretty (I know, don’t judge a book by it’s cover and all that,… but still, I can’t help it, I do, haha). I like when characters are real and relatable. This sounds like a great book! Thanks for the giveaway! I am guilty of judging a book by its cover too! I was so happy with this one when I saw it. I’ve read and reviewed The Hope of Azure Springs. I give it 5 stars. Great new author, would love to have a print copy for my keeper shelf. Thank you for leaving a review! It means so much to us authors. Any time I see the words “orphan train”, I am hooked. Add in a touch of mystery and a sweet romance, and I can’t wait to read this book. Congratulations to Rachel on her debut novel! I read The Orphan Train so when I read that The Hope of Azure Springs was based on an orphan it captured my interest. I look forward to reading the book after I win it!! Happy to hear there’s a book out there where the MC isn’t “perfect” looking and more realistic. Thanks for the review. This book sounds like a good read. Is it a stand alone or part of a series. Thank you for this generous giveaway. Sounds interesting. Thanks for the opportunity. Looks like a good read! I love historical fiction! Heard many good things about this book! This books sounds really good. It sounds like a fun adventure. I love discovering new to me authors of historical fiction. Thanks for this giveaway,Sarah and Rachel! Congrats ,too Rachel on this new release!! Sounds like a great story! Oh, an Iowa story and a new author! Wonderful! What a breath of fresh air…… the Lady is “thin, plain & odd”. Sounds like a captivating story that will Not be forgotten after reading it! Hope to win this new, refreshing novel! I would love to win this book. Thank you for your contest. The synopsis truly draws me in. Thank you for rhe opportunity. Now This Book Looks Very Interesting And One I Want To Read. I’ve Moved And All My Books Are Packed Away Somewhere In Storage So I’m Running Out Of Books To Read. I’d Love To Win As I Love Historical Romance Books. I Live In A Tiny Town Where There Is No Library And Have To Go Almost 35 Miles To A Bigger Town To Shop. Thanks Again As I Love Your Books. I Love My Bookmarks Too. A very compelling story line–would love to read! Best Wishes! I just commented in a FB group that I’m getting tired of every hero being hunky and every heroine possessing irresistible beauty. That’s not real life. I want characters I can relate to (and being beautiful is definitely not relatable to me–or the vast majority of people). That’s why I made the heroine of my book not pretty and insecure and the hero chunky. I can’t wait to read this book, too! Thanks for the opportunity!! This book sounds so good. Thanks for the chance to win! I love this time period! Also love the names you used…I have twins named Caleb and Emmy! Thank you for this opportunity. What a beautiful book. I really look forward to reading this book. Thank you for the chance to win it. Sounds interesting, and love the cover. Thanks for the chance. Thank you for the opportunity to win this book! It definitely sounds interesting! Love the cover too! This sounds like a lovely story. Thank you for the chance to win. This sound like a beautiful story. Thanks for the giveaway. This sounds interesting! I’ve never heard of this book before, but I’m always interested in good stories and this sounds good. This book looks so amazing! Anything that Sarah recommends is sure to be good. Can’t wait to read! Sounds like a great book; love the cover! Thanks for the chance. My kind of story line. I’ve been looking forward to reading this novel since I first heard about it. And a beautiful cover too. Sounds like a great story. I enjoy historical fiction and it is always fun to find a new author. New as in debut but also new to me. Thank you for the opportunity to win a copy of the book. Here’s hoping! I’d love to win this book. A genre I enjoy the most is historical fiction. Your cover is eye catching and the book’s description sounds like a book I’d enjoy very much. Looks like a great read. It’s on my TBR list so in case I don’t win (but fingers crossed 😉 ) I can follow up on reading it. 🙂 Thanks for the opportunity! This story sounds fascinating! I always enjoy your recommendations, Sarah! Thanks for the chance to win this book. Your cover is very appealing. I’ve heard so much about this book and it sounds awesome. It’s already in my TBR pile! Thanks for the giveaway! I love meeting new authors and the story line intrigues me. I would love to read this book. This book looks great. Beautiful cover and description. Would love to read it. I really enjoy this type of book! Thank you for this opportunity! God bless you for your generosity! I agree with other comments about the heroine’s beauty. Its nice to read about women that look like everyone else, I think that makes them more relatable. I had hoped to reply to every comment but we are headed to a place with limited internet. Thank you everyone for your interest in The Hope of Azure Springs! Thank you for your kind words. As a debut novelist they truly touch my heart. Thank you Sarah for featuring my book and more importantly for putting such amazing books out for everyone to enjoy- you inspire me! What a novel idea…a heroine that isn’t stunningly beautiful! Makes it seem more like real life to me. I would love to read this book, as I always like to try out new authors. Sounds like a book I would love to read. Blessings on your debut novel. I love historical fiction!! Beautiful cover. Looks like it’ll be a great book! I would love a chance to win your book. I`m exploring new authors whenever I can. Now I have discovered some of the new authors are now my favorites. I would never have thought about branching out before!!! I love strong but flawed heroes. It makes the character much more realistic and interesting. Love to read!!! Another good book is always a good surprise!! Would love to have a chance to win this book. I love historical Christian fiction. This sounds so cool! I love orphan train novels! This book is on my wishlist. I have heard nothing but rave reviews and can’t wait to read it! It would be awesome to win! I’ve had my eye on this book for a while now, and I would love to win a copy! Thank you so much for the giveaway! My reading goal this year was to read only new authors to me. Miss Rachel will fit perfectly in reaching my goals. I enjoy Christian historical fiction (a little bit of history). I would be delighted to be introduced to Rachel. This book sounds like it will be a great read. I love reading historical fiction. Thank you for the opportunity to win it. I would love to read this book, sounds so good! Thank you for the giveaway! Would love to be introduced to, and read, another author. This book sounds so interesting. Physical beauty is so over-rated, A person may be physically beautiful when they are young but age usually has a way of changing that. Inner beauty only gets better! I have read so many good things about this book. Thank you for sharing it! This sounds like a book with a heroine I could relate to and enjoy watching develop the inner beauty of her sweet and quie spirit. I look forward to reading this book!! This looks like a great read! I can’t wait to read it. Thank you, Sarah and Rachel for this opportunity! She sounds like a sweet person. I love that it showcases inner beauty. And love the cover art! Historical fiction is my favorite genre! You’ve peaked my interest. Now I want to read the book. Thanks for a chance to win. Thank you for this opportunity. I would love to win this book. Good luck to all! This sounds like a fabulous book! Congratulations on your debut novel Rachel! Thank you for the chance to win a copy of it. This book is going on my List of Books to Read! I love the message of true beauty within and the plot overall sounds very intriguing! Thanks for the chance to win and I’m super excited to read this! Nice to find another Author. Best wishes for your success with your debut book and many others. I would love reading a book by a new author! I’ve heard a lot The hope of Azure Springs By Rachel Fordham and would love to read it. Thanks for the chance. Usually it is the hero nearly dying of a gunshot wound, in the more typical historical! Enjoyed Sarah’s presentation of your new book. Love the cover, the title, and the story-line sounds intriguing! Thanks for the opportunity to win! This sounds intriguing. Thanks for this opportunity. Looks like a wonderful book! Thanks for the chance to win a copy! Would really like to read this book. Thanks for the chance to win a copy. Let’s hope this is my lucky day to win this book. I’ve heard great things about it. I love the cover and the premise. Sounds like a wonderful read! Thanks for the chance to win. I love reading stories like this one about love and hope. Thanks for the chance of winning a fantastic book in this giveaway! I’ve heard so many wonderful things about this one, can’t wait to read it!! The cover of this book catches my attention and I would love to get my hands on it to read. The title sounds wonderful. I’ve read so many good reviews of this book and I’m excited to find a new author to love. Looking forward very much to reading it. This book sounds very interesting. I would love to read it. I love the description of Em as plain and odd that is what catches my eye about this book. She sounds like an interesting heroine. Congratulations on your debut novel, Rachel! I love reading Christian historical stories and this book sounds intriguing. I love historical fiction! This one sounds AMAZING! Sounds like an interesting and heartwarming book. Thanks for the chance to win. Blessings. Well, you have a catchy title and a really nice cover. I’d say you’re already head of the game! Seriously though, it sounds Like an interesting read. I like the you’ve kept the characters real…so much easier to relate. Sounds like a really good read. Thanks for the chance to win. That sounds like an intriguing plot line, and I will enjoying learning about the orphan trains, too! I would like to win this book!It sounds interesting and is set in my state-Iowa! I love historical Christian fiction! As a reader, I always enjoy discovering new talents in writers and expanding my reading. Recently discovering Sarah Sundin, I am now a fan of hers. Hoping for your success in this endeavor of writing. There can never be too many books. I love historical books and read many Christian fiction. 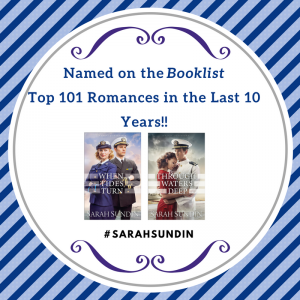 I have most of the books by Sarah Sundin and have passed them on. I even left a couple at the VA hospital at their trading library. Would love to read this book. 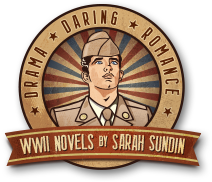 A new-to-me author, with a historical romance? I’m IN! Would love to win this. Historical fiction is one type of book I enjoy and this one sounds like something I’d want to read. Wow! What an interesting book description. I have enjoyed reading historical novels. Hope to get a free copy of this one! This sounds like a good first book for a writer. She combines several elements found in historical western stories and seems to blend them well. Best of all, it is a book I will be able t share with my daughter. Sounds like a very fascinating book. The cover is beautiful and combined with the synopsis makes me want to read it! Definitely going on my List! The cover is beautiful and story sounds captivating. Praying for your success. Looking forward to reading your debut novel! It sounds like an interesting story line. Thanks for the chance to win a copy! Rachel, your debut novel sounds amazing! I love novels where the characters resemble real people–flawed and ordinary in many ways but developing into the people God designed them to be. 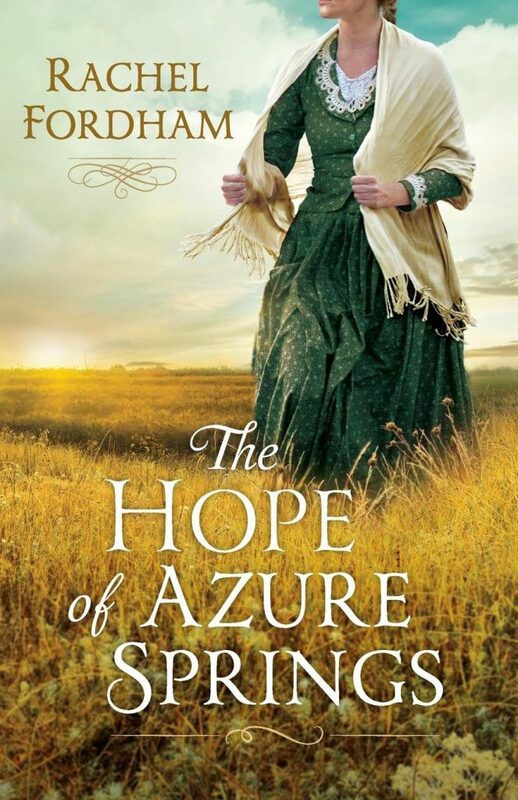 I’m eager to read The Hope of Azure Springs; the title even sounds refreshing! Sounds like a great book! Always on the lookout for another good author. What a fun story! I love finding new authors!! Can’t wait to read it, even if I don’t win it!! Sounds like an interesting and fun read. Instead of “Calgon take me away” (if you’re old enough to remember this) “The Hope of Azure Springs take me away!” Thanks for the chance to win it! This sounds like a very down-to-earth story! I think we all need to realize that not everyone in this world is “beautiful” and “handsome”, but that those characteristics should come from within. I will certainly love to read this book! Thank you for the opportunity to possibly win it!! Our Church Library readers will be lining up to read this book, if I win. Wonderful cover! Looks like a wonderful story. What sets this novel apart is the refreshing message – what is true beauty and how do we perceive it? This sentence hit me in the heart and I sure do want to read this book! Wow so many entries already…….but going to try anyway lol…..Sounds like a book i would really love to read…..Thanks for giving us the chance to win. Hope this isn’t too late for the giveaway! Sounds like a great book, and you are a new to me author. Thanks for the chance to get to read your book.